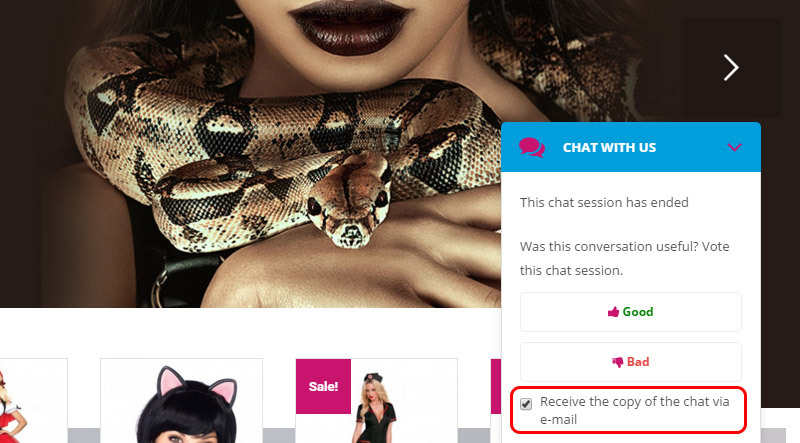 If you want to allow your users to evaluate (positively or negatively) the conversation they had, activate the Enable Conversation Evaluation option: by the end of the conversation, users will see a form with two buttons and a checkbox to ask for a copy of the conversation. 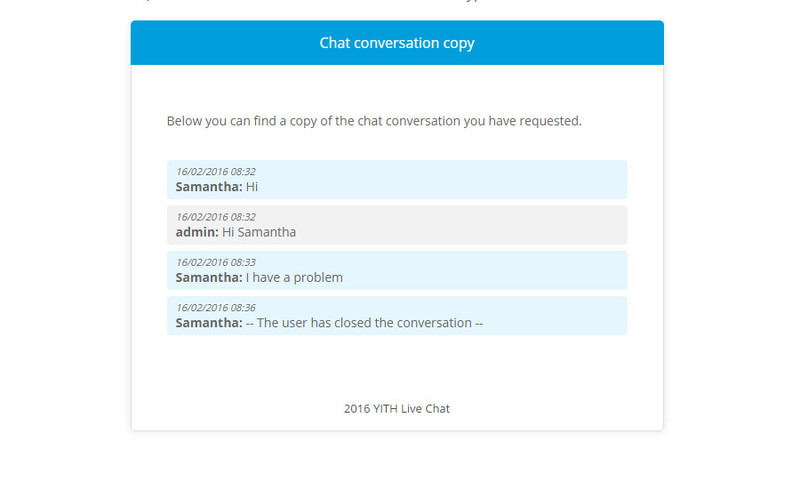 You can see evaluation for each conversation into conversation detail page. 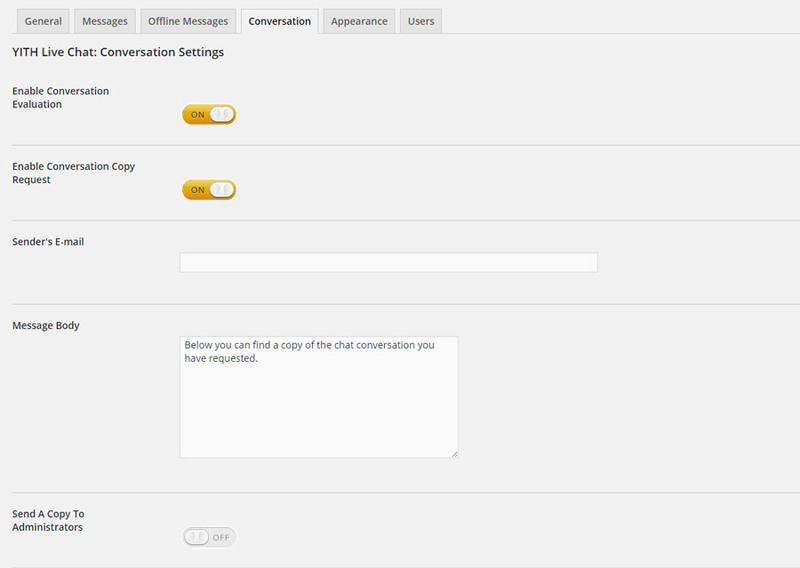 All conversation details, and so also its evaluation by the user, are stored in section “Chat logs”. 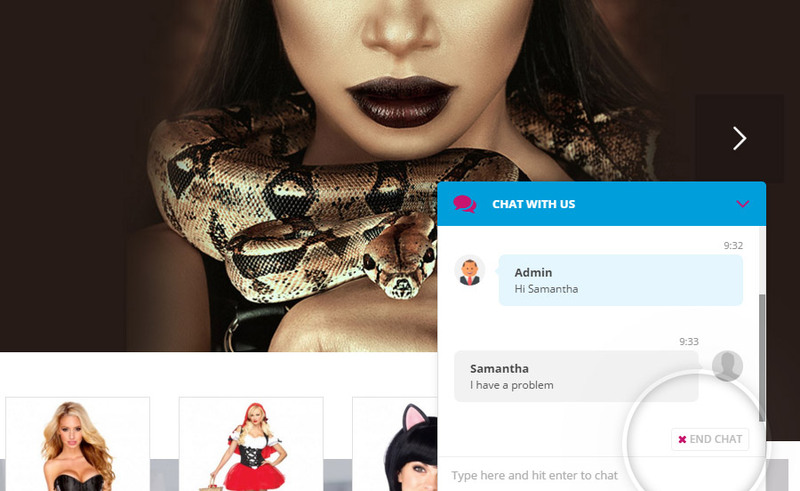 User Name: the username used by the user to access to the chat. E-mail: the email used by the user to access to the chat. IP Address: the IP address of the user. Date: the date of the conversation. Total messages: the amount of messages of the conversation. Chat duration: the duration of the conversation. Evaluation: the final evaluation of the user (it is not mandatory). Request Copy: this is showed only if the user requests a copy of the conversation. Note: if two or more conversations are generated during the same session with a different username, all the previous conversations of the same session will be updated with the username of the last opened conversation.